Come on a my house, I’m gonna give you candy. Come on a my house, my house, I’m gonna give you a plum and apricot-a too, eh. Come on a my house, my house a come on. Figs and dates and grapes and cakes eh. This was Rosemary Clooney’s big hit in 1951. 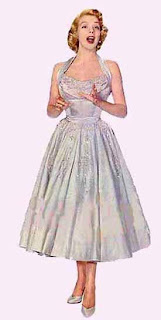 Now I recognize that people who did not grow up in the wonderful ‘50s would not know Rosemary Clooney from George. And, of course, no one is going to recall this as high art a hundred years from now any more than the tortured, off key whining of Justin Bieber will be remembered as great moments in musical history. Rosie’s song crawled to the surface of my swampy brain the other day like a fetid methane bubble as I listed to Obama’s speech on immigration. Obie called for “comprehensive immigration reform” to be passed this year to stop the flood of illegals flowing across the southern border. “Comprehensive”, of course, is the code word for amnesty and comes right off the talking points memo that all Democrats and liberals use whenever the subject gets mentioned. Obama knows there is not a farts chance in a hurricane of passing an immigration bill this year but he hopes bringing it up will curry favor with Hispanic voters and help stem the tide running against the Democrats in the fall elections. You don’t have to be a congenital cynic like me to see through the lack of serious effort to contain the flow of illegals. (They halted construction of the fence and are going to sic the Justice Department on Arizona for trying to enforce the law.) Like the half-hearted attempts to clean up the oil in the Gulf, the Obama Team plans to use the “crisis” to further their own anti-fossil fuel and amnesty agendas. Rosemary’s song popped into my head in the midst of a thought experiment. Suppose you owned a large tract of farmland with orchards, fields, gardens and a huge house. To your immediate south lived a large community of exceedingly poor and uneducated people. Word gets around that if they manage to get across the simple fence surrounding your property that you will make only token efforts to kick them out and will give them free food, medical care and educate their children. They hear that if they have a baby on your side of the fence that the child will immediately become a member of your family and that the parents will be permitted to remain on your farm forever. They discover that they will be paid for working in your orchards and fields and allowed to send money back to their relatives to the south. How long would it take before your farm is over run with your destitute neighbors? And, how long before you went broke trying to pay for it all? This is precisely what the US is doing with the Mexican and South American neighbors and as long as these financial and social incentives exist, they will keep coming…. Fence or no fence. You don’t have to be an American citizen to receive food stamps, Medicaid or welfare or even SSI (Supplemental Security Income). And, if you are deemed to be a PRUCOL alien, someone the INS decides not to remove because “it might cause undue hardship”, you are entitled to social assistance without going through the not altogether difficult process of acquiring a fraudulent Social Security Card. The National Research Council estimates the cost of supporting illegal immigrants at $345 billion per year. Border states are already going broke supporting illegals. In 2004 California spent $10.5 billion on providing health care, education, incarceration and welfare to illegals. An estimated 15% of the school population is comprised of children of illegal aliens who are not only accommodated with free education but also, free meals and special teachers to teach in their language. In case you missed it, California is seriously broke. Obama, in his speech, and everyone else who pontificates on this subject, admits there are some 11 to 12 million illegals living in the US. All agree that it is impossible to send them back. Too costly, they say. Really? Why not let them go back of their own accord? 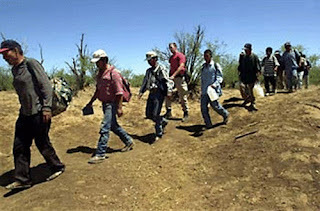 During our current recession many illegals have chosen to go home because of the lack of jobs. Many politicians say that cracking down on employers who hire illegal aliens is the answer. Sure, that would help but, what about this? No more free lunch. No more welfare, free medical care or education. No more “anchor babies”. If you sneak across the border to give birth, little Jose is NOT a US citizen and entitled to all the benefits thereof. Without all the free stuff a lot of illegals would be heading home and the financial pressure on the Border States relieved. Natch, the chances of this happening are about the same as me beating Tiger. IOW, less than nil. A lot of people display the thinking of Speaker Pelosi who said, “We have an estimated 12 million illegal aliens in our country who need our help along with unemployed minorities. Stock market profits taxes could go a long way to guarantee these people the standard of living they would like to have as Americans.” It’s hard to know where to begin with this insane statement. Let’s try. First of all, illegals are not Americans and, while I do not doubt they would enjoy a better standard of living (who wouldn’t) it remains unclear why real working and tax paying Americans should fund the improvement in life style of illegal aliens. In addition to the bleeding heart liberals who want open borders and obligate the American taxpayer to support anyone who wants to come to the US, you have the cynical politicians who love illegal immigration. Obama and his leftist cohorts believe that their path to continued power lies with getting more and more voters on the government dole. They regard these people as reliable Democrat voters by convincing them that only the Democrats will insure continued largess from the public coffers. If they can grant amnesty to 12 million illegals….. Well, I guess you can figure that out. Well, to quote the Joker in Batman, "This town needs an enema!" in reference to D.C. And if we, as a nation, were willing to go so far as to fire all of our current elected officials then I suggest that the 14th Amendment be changed too so that it states that a child born here isn't considered a citizen unless he/she has one parent who is a legal citizen. Although ridding them the title of "anchor baby" wouldn't do much to fix the problem of paying to raise the future Democrats because current policies provide social services for non-English speaking, illegals too. And for the love of all things holy, why do we pander to the demands of Mexico's government? Sheer insanity! We shouldn't refuse to treat critically ill or injured people who show up at emergency rooms, but we should bill their country of origin for services rendered. As far as going after the employers... that's a great concept, but should employers be held accountable if illegal aliens provide falsified documents? Sorry, but I could rant incoherently for hours about this subject.